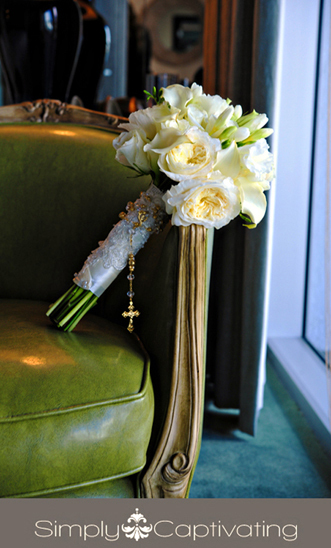 From Miami, the very talented floral designer has joined us here in Tampa Bay. I love my Miami people, not only because they make me feel home in a far away land, but because of the passion they bring in creating what they love. 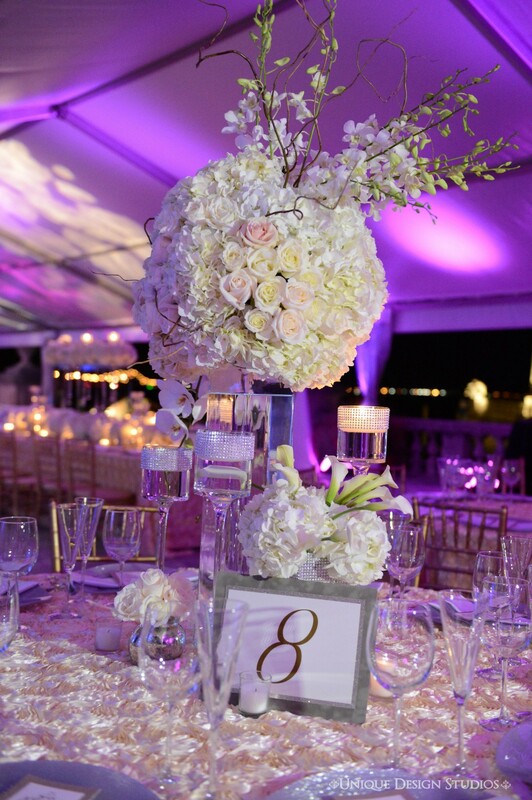 Finding the perfect florist in Tampa bay and surrounding area for your big day is very important. 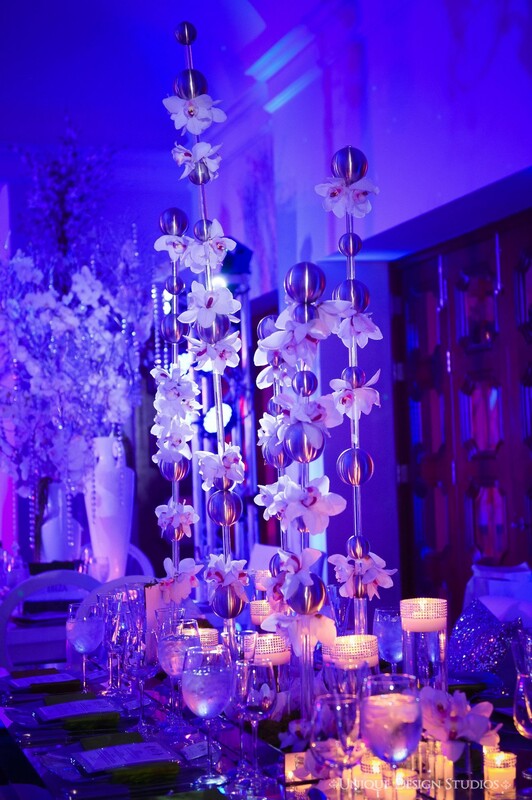 You want a floral designer who can take your vision and wedding day dream and make it a reality. For Ana, owner of Hannah’s Floral & Events this is her ultimate goal. I’ve had the pleasure in spending quality time with the team at Hannah’s Floral & Events, and they are nothing but talented, warm and caring individuals that will listen and take you concerns to heart. 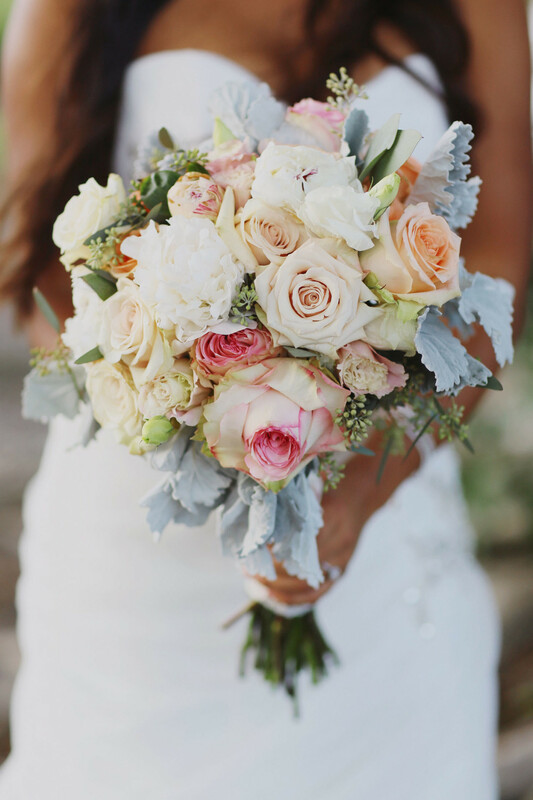 Ana, is passionate about finding the absolute perfect florals for her bride and groom, from gorgeous bouquets to stunning centerpieces, Hannah’s Floral & Events is all about creativity and beautiful works of art. 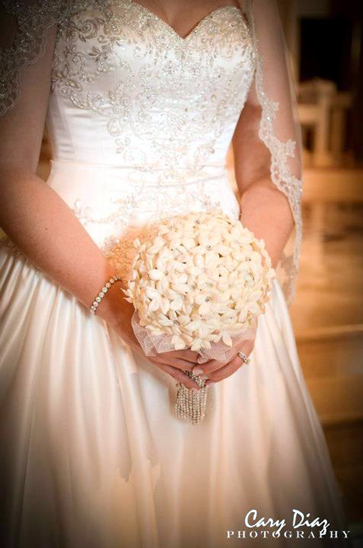 So join us in saying hello to one of our Tampa Bay Wedding Florist; Ana! The shop is now located in Apollo Beach, which is a great location that the Tampa Bay, St Pete, Orlando community has access to. It is very welcoming and if you are a chocolate lover, you will not leave this place without having your hands on one. Surrounded by fresh flowers, you will also see the creativity of the team as most pieces were custom built, even their office desk. I asked Ana some questions and this is what she had to say. What sets you apart from other floral design companies? We are an all-inclusive company, a one stop shop type of studio. We not only produce and design all of our work in house, we also assist our brides and corporate clients with the overall look for their event; assisting them with in house draping, lighting, lounge furniture and décor accessories. 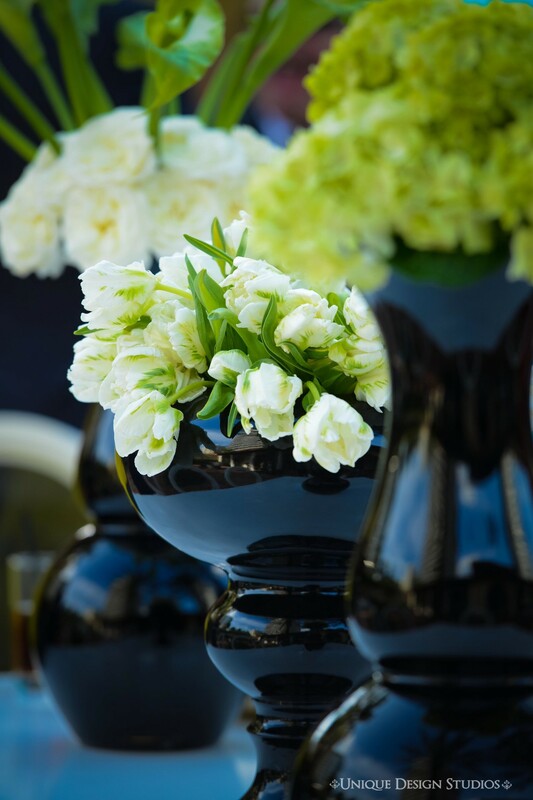 We like to think outside the box and we have the capability to build and design custom vases in acrylic, wood and leather. We also come from the thriving South Florida wedding market and we believe we want to share that vision in Tampa Bay and Central Florida. 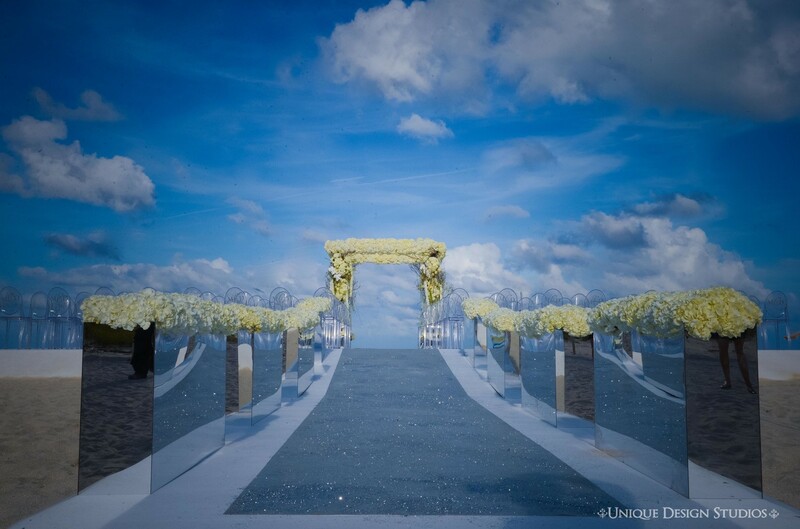 How would you describe your style and overall approach to wedding/event floral design? Our style is elegant and current to today’s styles and trends. We like to create unique floral designs where we can express our creativity and play with flower textures and colors. I would like to think we have an eclectic design style. We can create vintage, traditional, modern or playful event designs combining interchangeable elements. 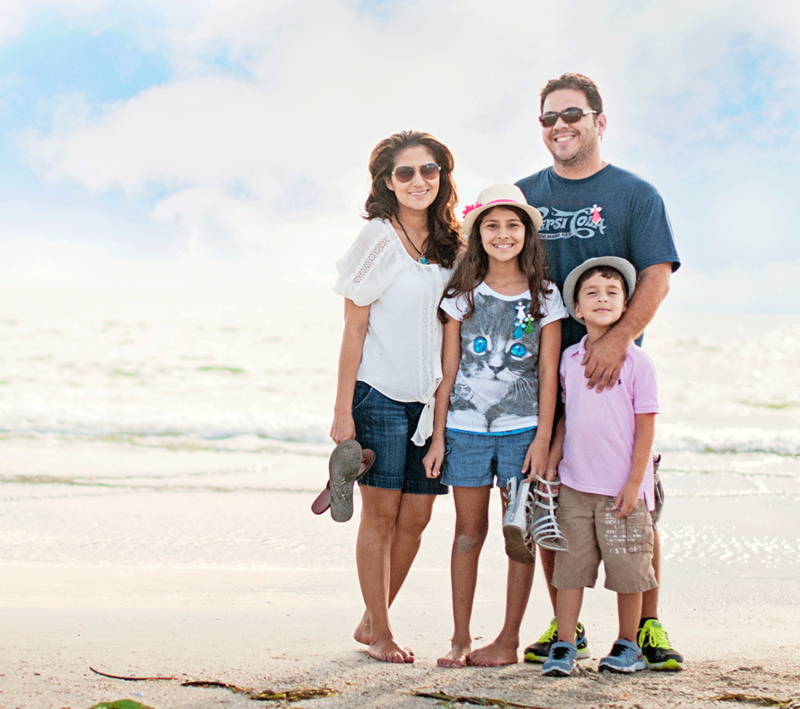 Spend time with my family at the beach, fishing or just having a good time with friends. When I can escape for a bit on the beach or fishing trip I like to have a good book and read. There are several events that we are proud of thankfully. 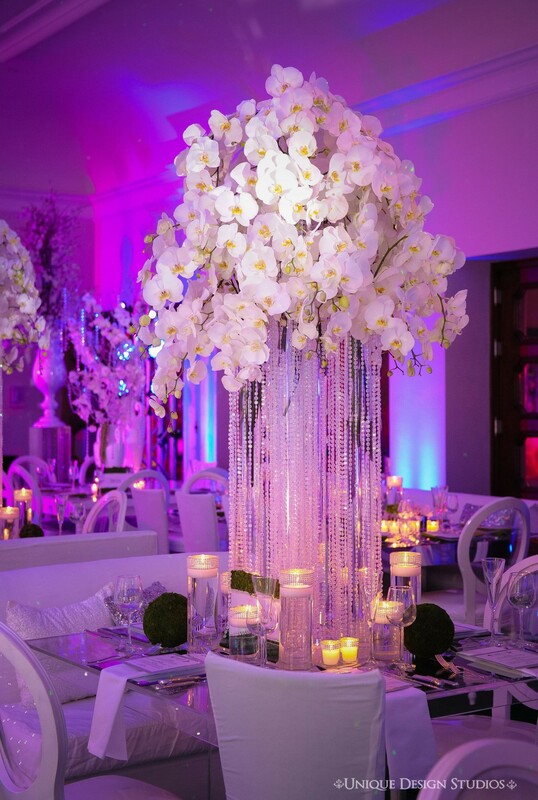 We collaborated with a Platinum wedding designer to create a beautiful ceiling drape at The Ritz Carlton Naples for an NFL Player where we custom built an over-sized crystal chandelier (the size of the ballroom and completely draped the ballroom with custom fabric draping. 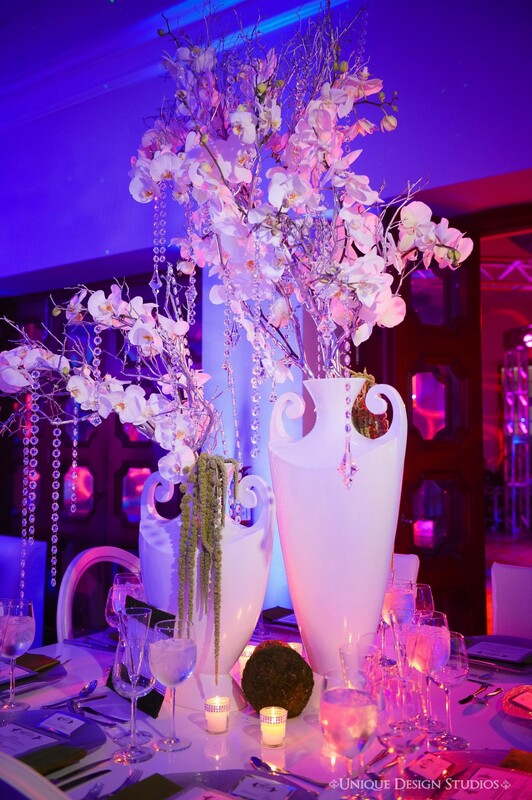 Another great moment was a wedding we were privileged to provide the floral décor for at The Bath Club, Miami Beach about a year and a half ago, where Lionel Ritchie was a guest performer. 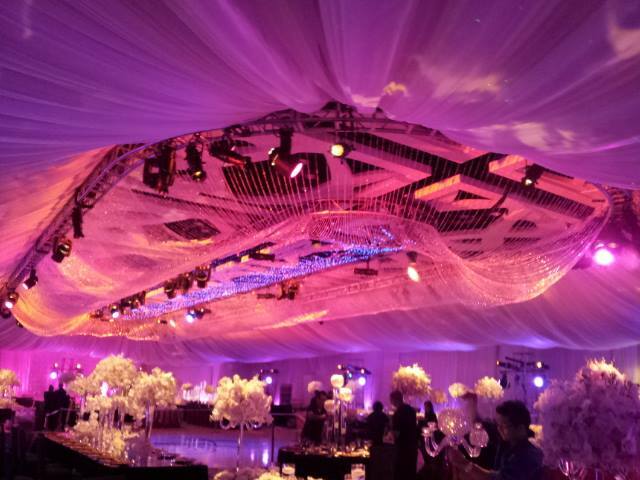 We also collaborated on a David Tutera wedding where we provided the draping for the main stage and for the canopies that where placed around the ballroom. The wedding took place at The Mandarin Hotel in Miami. From a vendor’s perspective, what is the best piece of advice you can offer to engaged couples? 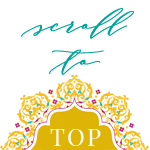 The best advice is to hire a great wedding planner, florist, photographer and venue. 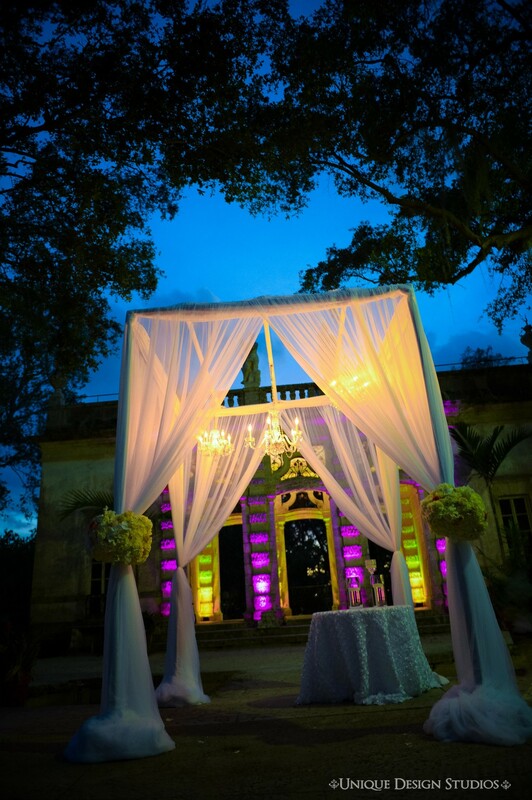 In hiring high quality vendors couples are able to truly enjoy their entire wedding experience. Most brides find themselves exhausted and stressed with the planning process and this should be a time to enjoy and savor the road to getting married. They should be able to enjoy every moment of their planning process and most importantly enjoy their wedding day! 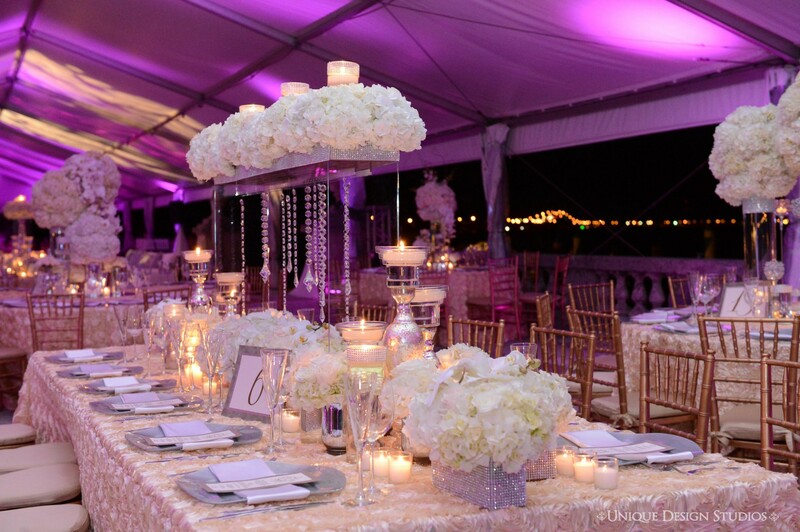 What are two suggestions you would give your clients when choosing florals for their wedding? I would suggest narrowing down a favorite or preferred flower so we can incorporate it in the event if available for their wedding date. I also like to recommend seasonal flowers that will help us stay on budget and help us guarantee availability. How far in advance does someone needs to book your services? 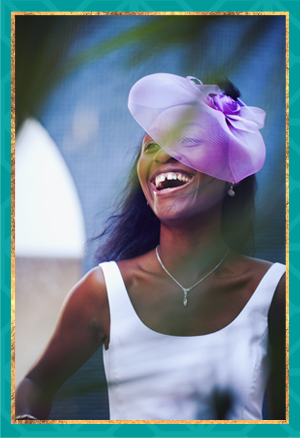 The ideal time to book our services is no less than 6 months from the wedding date. That will give us enough time to go through the concept of the wedding, colors, flowers and all the details involved in getting ready for the wedding day. However, we have had brides come to us with less time and if we have availability for their date we will certainly do everything possible to help them bring to life their dream wedding.